What does wellness meant to you? Over the years, the meaning of wellness has changed for me. In my 20s, wellness meant looking good in a bikini. Bouncing back quickly from a night of partying. Never much of an athlete, I started running 5ks and 10ks. Battling anxiety, I began to learn that I could gain a lot more than physical fitness from my new pursuit of wellness. In my 30s, I became a mom to 2 boys. Wellness took on a whole new meaning. Not only did I want to regain my pre-pregnancy fitness, I wanted to stay mentally fit. Less concerned about body image, I learned that running could bring me that calm I needed to face the day. My runs were a priority. I ran before the sun came up to get it done. A new activity, yoga brought serenity and recovery. I made time for wellness. Hey, if mama ain't happy, ain't nobody happy, right? In my 40s, wellness meant tackling middle age head on. The goal was to be able to keep up with my growing boys. I didn't want to be one of those moms who sat on the sidelines, watching her kids having fun. I upped the ante on the road, running half marathons and my first full marathon. Those long distances became an addiction and a prescription for the stresses of raising preteens. With the increased pursuit of wellness came a natural transition to healthier eating. Now in my 50s, my wellness has taken on an even greater priority. This mom of teenage boys does it for herself. Besides yoga and running, I've been strength training with a CrossFit coach. I am running at paces besting those I hit in my 30s. I joke that I've found the fountain of youth. But really, it's no joke. With smart training, I plan to continue to challenge the conventional wisdom that older women can't compete. The past 3 years have left me amazed at what my body is capable of. Mentally, I have been challenged with teenage drama and life stresses, but I draw on my strength as a runner and a yogi to navigate those challenges. So today, what does wellness mean to me? -Wellness means lining up at the start of a race ready to run and be competitive in my age group. -Wellness means taking up new challenges on the run. -Wellness means enjoying an ice cream cone and not worrying about the calories. -Wellness means keeping up with my sons. -Wellness means still being able to get up on one waterski and slalom my way across the lake. -Wellness means getting up into a headstand and not worrying that the fall to the ground will hurt me. -Wellness means a good night's sleep. -Wellness means staying strong in the face of life stressors. -Wellness means loving my body for how it looks and all it can do. -Wellness means finding joy in the journey. Wellness is my biggest motivator for staying fit. Wellness gets me out the door. Wellness makes me run. Wellness makes me ride. Wellness makes me strong. I'm submitting this post for an entry to win a week at Wellfit Malibu. 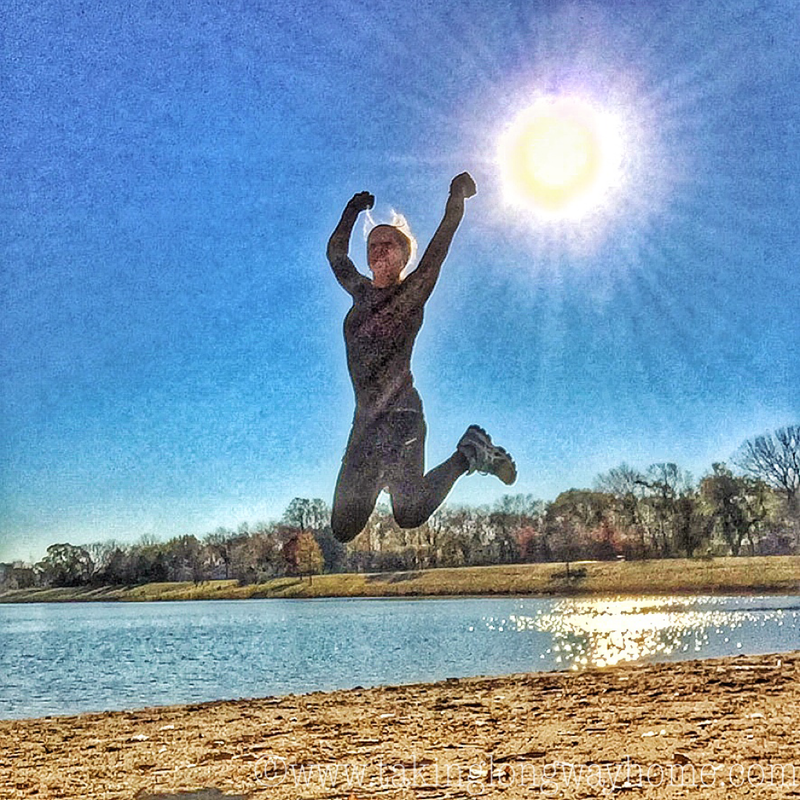 The contest is sponsored by Run to the Finish, The Healthy Maven, and Fit Foodie Finds. Wouldn't this fit nicely in my year of destination races? Ok, it's not a race, but it's all about wellness and health. Hey, a runner's got to recover, right? I have developed such a different understanding of wellness than so many of my peers, and from an early age, because of my chronic illness. When I was younger, I thought about dieting (yes, even before I was sick, and I got sick pretty young). Then it became about a true fight for survival. To me, wellness is not having to think about wellness, and setting myself up for success in the long run. I like your philosophy. Wellness should just come naturally! I love this post! And I really identify with your 30's definition of wellness right now...although I'm on the upper end of that. I really picked up my fitness after having kids...it just became more necessary (it took more work to maintain what came easily before and for stress relief) and something I could always have for myself. It's funny how fitness has taken on more importance through the years! Now than ever, it's going to keep me healthy. To me, wellness means feeling strong and having energy to do all the things I want to do! Oh for sure! I chased down my neighbor's dog this morning after he got away! I'm with you on what wellness means in my 40's since that's right where I am. I have two teenagers now and I want to be able to be a healthy mom/role model. I too didn't run longer distances till just last year (the year I turned 40) now I'm training for my 3rd half marathon and have 5 planned for this year. Feeling strong is my wellness! Isn't it the best? Keep it going! I've always been grateful that I found out fairly early on how important fitness was to my wellness. But also that I've been smart enough (sort of) to listen to my body as I age and make the appropriate adjustments and training decisions. I sure can't run like I used to! What a fantastic post. I love how wellness priorities have changed for you but always been important. It was fun to reflect back and see how my outlook has evolved! Love this post! As I've ventured securely into my 40s I've definitely taken on a new definition of wellness and what it means to me. I always worked out but over the years it has certainly taken on new meaning and accomplishment. Love it - hope you win! Yep, your priorities certainly change with time and age! What a great well-thought out post, Wendy! I love the way you go back and see what wellness meant to you and how it has changed as you get wiser! Notice I used the word wiser in place of the o word ;) I'd love a do-over. I did not, unfortunately; make my wellness a priority when I was in my 20's or pretty much most of my 30's. I guess that is why I have fell head over heals with seeing what I can accomplish next. It is apparent with you that wellness has always been a great priority for you and because of it you are doing things many many people will never do! Thanks for sharing and good luck in the Wellfit contest! You so deserve it! My view of what wellness is has changed so much through the years. Wellness to me are the quality moments of my life, the moments I get to chose what I want to do, making my heart rate go up, which is why being injured is such a stressor for me. It is my priority to keep my self strong because when I finally don't have to work all these hours I want to feel good and be able to enjoy it. I also need that heart pounding exercise! Yep being injured scares me too. I'm glad I have the bike..
Do you still battle anxiety? If you don't feel comfortable talking about this I understand. I've just had a hard time with it the last six years and just can't get a handle on it. I really don't understand it and how I got it. Any tips? Running helps me but doesn't cure it. I actually write about anxiety a lot. I don't battle it like I did in my 20s. Running has really helped me keep it under control, for the most part. But so has maturity. And yoga. I have a really type A personality, and I tend to get overwhelmed easily. It's a work in progress. It's so interesting how our perception of wellness changes as our lives change! I see such a difference in what wellness meant for me as a college student versus now as a mid-20something. It's more about accomplishment, adventure, and preparing for a healthy life than it used to be, when the main focus was looking thin. I'll take stronger legs if it means marathons! I"m so proud of my powerful thighs! I started pursuing wellness in my 30s. My mom lost her battle to breast cancer at age 58 and I was 34. I read so much and saw how her life could have possibly been extended if she had pursued wellness. It is not selfish to take time for yourself, it is the greatest gift you can give your family. This 51 year old running a 5k Turkey trot with her 10 year old niece was all the proof I needed! Aren't you so glad you pursued wellness? Older women CAN compete!!! I love your sense of wellness and how it means so much more then "just" running because I could not agree more. Here's to many more years of running happy! I want to keep that whole competing thing going! Wellness has taken on an entirely new meaning for me now that I'm a mom. Not only do I want to focus on taking care of myself, but I also want to ensure that I'm setting a good example for my baby as well. i always wanted to set a good example for my boys. My youngest totally gets it. I think my oldest is starting to. Great post. Wellness is mostly mental for me, and if I am mentally well, my physical well being follows suit. They do seem to go hand in hand, don't they? This is an incredible perspective. Wellness is so much more than a number on a scale or looking good in a bikini. Something, with age comes a great deal of wisdom, and you, Wendy, have a great handle on that wisdom. Funny how the priorities change, isn't it? You're so right that the meanings of it have been ever changing through different stages. My desire to lose weight and maintain my health most recently was due to the birth of my daughter. I imagine as time goes on that it will progress much the way yours has. I won't lie, I'd love to look in the mirror and see fewer wrinkles. But I love what my body can do for me. And bottom line, that's the best! Wheeee I hope you win! Currently in my twenties and wellness means being healthy enough to make it to my 30s! I love this, and I agree with all the things that wellness means to you now.... wellness to me means having confidence in my 40's like I've never had before.... wellness means enjoying food and wine and not having my day be defined by the calories I consumed... wellness is putting everything into perspective through a run. Oh, yes, the confidence thing is huge! That just keeps getting better--you stop caring as much about what people think! I know they think I'm a kooky old lady, which is just fine by me! Wendy I love love this! You are truly an inspiration. Wellness for me is about feeling strong and alive as I age too. I want to be active and have fun and one day be that grandma that runs around with her grandkids. Awesome post! 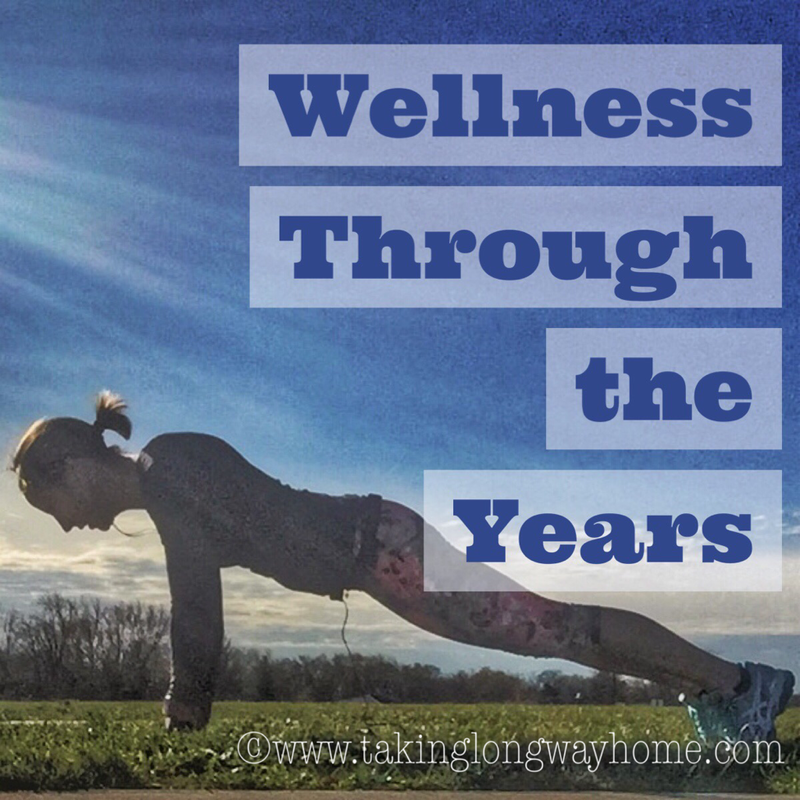 Wellness definitely changes each decade and as I head into my 40s in a couple of years I can already see my mindset Changing on what wellness means to me, basically staying strong and staying healthy for my family, less about how I look and more about how I feel. That is the perfect perspective! My 40s were really all about confidence and feeling good about myself. Beautifully written! Truly an inspiration. I think you deserve a week in Malibu. Wellness , to me, is the ability to live an active lifestyle and be able to maintain it to the end of my years. I dream of running a marathon with my daughters when they're in their 20s and I'm in my 60s! I actually think I deserve to retire in Malibu, but that isn't the prize. Rats. Such a good way to think about and flips things in your mind. I def have times that negativity takes over, but I do my best to break it. It's hard to stay positive sometimes! I have a similar story to yours, and only a few years behind you ! Keep it up, you inspire me every day ! I tend to accumulate fat around my waist too. It's been a struggle most of my life. I really watch what I eat, more now than ever. I'm not sure I know of anyone more deserving of winning this contest than YOU!! Good luck! Good luck! It is fun to sit and think about wellness as we age and our bodies and families change. I had babies in my early 20's so my families wellness was top priority, now I am proud to say, it is all about me :) and I am loving it! It's kind of fun to make yourself the priority, isn't it?